Juan Carlos Medina’s French-Spanish mystery-horror takes the audience on a journey through history, with two stories that are both just as sorrowful as they are gripping. 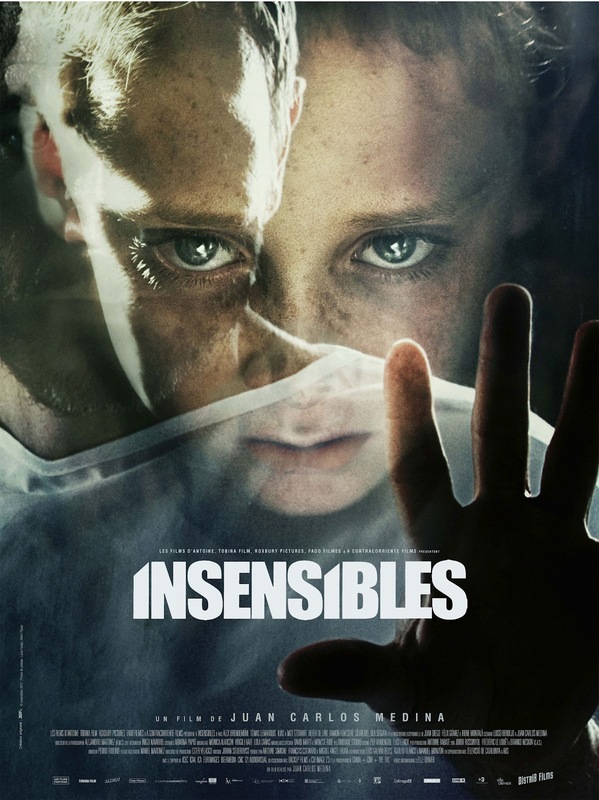 Insensibles begins with scenes on the brink of the Spanish civil war, various children who are unable to feel pain are rounded up and locked away in Catalonia for the safety of the people and also of themselves. Although incarcerated everyday, the children still show signs of intellect as a professor, Dr. Holzmann, attempts to teach them what pain is so that they do not have to spend the rest of their days locked up. At the same time we are shown a depiction of modern-day, and David, a brilliant neurosurgeon, has just survived a horrific car crash, unfortunately his wife did not. However that is not the worst of his problems as when he is checked over in the emergency room doctors find that he has cancer; and the only way to save his life is to have a bodily donation from one of his birth parents. When it turns out that David was adopted he goes on a mission to find out who his real parents were, various leads explain how they knew his father throughout history and what he became. David may find the answers he is looking for, but will he be happy with them and how do the painless children intertwine into his past. The crossover storyline really weaves together very well as we dart back and forth between modern-day and the early 20th century. As the film plays out, the part of the plot which is set back in time shows the different war eras of Catalonia, firstly in the Spanish civil war, then in Hitler’s invasion in World War Two and through to the ’60s, we see how the painless children have to cope with these situations; it sort of gave off a darker Forrest Gump feeling with the travelling through history. This is a film with some rather beautiful scenes at times which do not fail to dazzle, and as we follow David on his journey to discover who his birth parents were, the mood never changes to a dull one. The audience wants to unravel the mystery just as much as David does, and there are twists and turns around every corner that eventually end up with a conclusion. However it is these twists and turns which become the films downfall, they do entertain and make a more interesting story, but in parts it seems the script tries to be too clever in having the characters recite indecipherable messages which can not always be understood. Insensibles will definitely have you watching until the very end, it just needed more of an ending. Sometimes in films questions should be left open for the viewer to interpret themselves, but it is hard to make your own assessment when there seems to be information missing. In Insensibles Juan Carlos Medina delivers a violent tale of sorrow which is only let down in its confusing twists and ending. Tag Line: Pain Is Their Remedy.